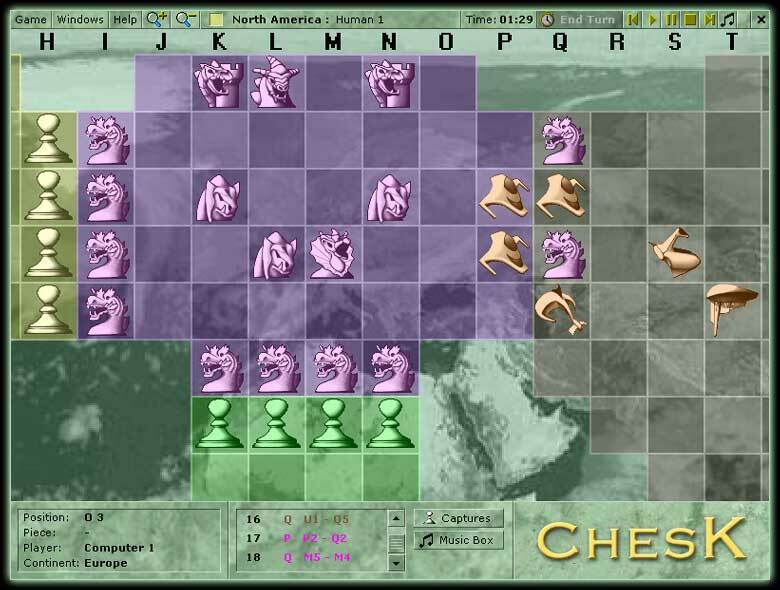 ChesK: Risk and Chess Combination is a game information page. It is categorized as: Orthodox chess, . This item is located on a site outside of chessvariants.org. ChesK: Risk and Chess Combination . 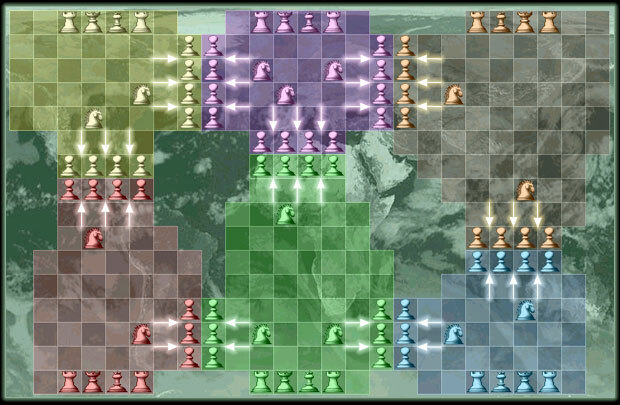 A combination of the classic chess and Risk. Author: David Howe. Inventor: Khalid Waheed. A combination of the classic chess and Risk. This new concept will revolutionize the classic chess, giving it a new dimension, mobility, and an new feeling to the game. The board used for this game has 16 row(s), 25 column(s), 319 cells/squares. This game is a multiple player game.